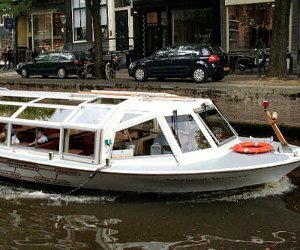 Guided Amsterdam tours include canal cruises, bike tours, sightseeing & walking, bus tours and day trips. 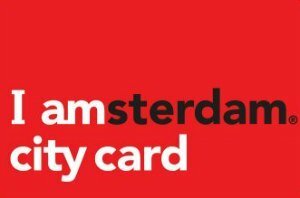 If you are wondering what to see and do in Amsterdam, here you can you find some ideas and the tour that suits you best for visiting the city. One of the top attractions in Amsterdam are its canals. The canal belt in the city includes 47 miles of canals and 1500 bridges! 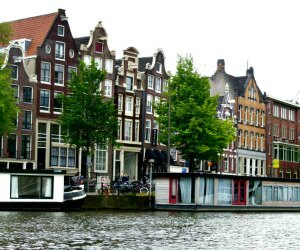 Amsterdam boat tours, or Canal Cruises show you some of the most famous and beautiful canals among these. The canals in the city were originally built during the 17th century for defense, water management and transportation. Since then they have become an integral part of the city. The main canals in Amsterdam are Keizersgracht, Prinsengracht and Herengracht. Forming circles around Amsterdam's old city center, the canals are some of the most visited and popular guided Amsterdam tours and a World Heritage Site. Surrounding the canals are equally gorgeous architectural landmarks to explore. Several tourist attractions and historical sites are also located around these canals. There are several great canal cruise packages available in various price ranges, depending on the time and the number of attractions included in the package. With so many things to see and places to visit in and around Amsterdam, day trips offer a convenient and affordable option. These guided Amsterdam tours will take you to some of the most popular sites in Holland on board a comfortable coach with a knowledgeable guide to provide you valuable information about each place you visit. Simply pick the attractions you would like to visit and find a day trip that covers all of these attractions. There are several options available. You can visit the beautiful Tulip Fields and Keukenhof Gardens that boast of millions of daffodils, hyacinths, tulips and spring bulbs each year. If you want to explore the traditional side of Holland you can visit the traditional fishing villages of Volendam and Marken with their local cheese factories and traditional wooden houses. You can also visit Zaanse Schans and see the famous, colorful Dutch windmills that the country is known for. 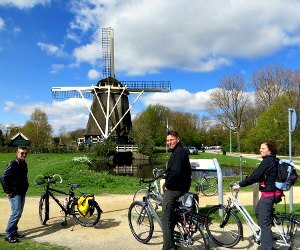 Bike tours offer you a great way to explore the attractions in Amsterdam and around the city while getting a workout and meeting new people. Whether you want to explore the many attractions within Amsterdam or want to enjoy the serene beauty of the surrounding countryside, there are many options available. Get a break from the city and cycle through the lush Dutch countryside. With Amsterdam tours by bike you can visit several quaint villages along the way. Within the city too there are several great attractions to explore such as the Jorddaan Quarter, Magere Brug, Rijksmuseum, Vondel Park and the Red Light District. If you want to explore some of the best places in Holland, head to the well-known windmills. Depending on the number of hours you want the tour to be and the places you want to visit, there are several bike tours available in various price ranges. Whether you are a first time visitor to Amsterdam or someone who knows the city quite well, Amsterdam tours can provide you a glimpse into the city's best kept secrets. For first time visitors, a sightseeing tour is a great way to get to know the city. These introductory tours will take you to some of the most well known attractions in the city like the Skinny Bridge, Royal Palace, Albert Cuyp Market and the National Monument among others. Many tours also include transportation by comfortable coaches and cruises. If you are someone who prefers to explore the city more independently, hop-on hop-off sightseeing buses are a good option. There are also several types of Amsterdam walking tours available with professional guides to provide you great insights into every attraction you visit. For something unique, try a photography tour, a food tour or even a crime scenes tour! Experience the nightlife of Amsterdam like never before with a pub crawl! Pub crawls are fun and exciting. You will be able to visit some of the best bars and clubs in the city with professional guides and party till the morning. 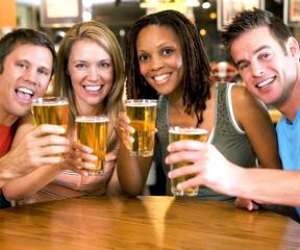 Most pub crawls will include a visit to multiple bars and nightclubs in a single night so you can get the most out of your night. It is also a great way to meet people from around the world and make new friends. The venues are usually carefully handpicked for Amsterdam tours and include drink specials. There are several different pub crawls available in Amsterdam so you can choose to party in the famous Red Light District or the Leidesplein neighborhood. If you prefer something more intimate and low-key, a beer tour is also a great option. Another great option is a wine and cheese tasting tour if you are not in the mood to party. Enjoy great food, wine and nightlife with fun tours. These carefully put together guided Amsterdam tours will introduce you to some of the best known attractions in the city while ensuring you get a taste of the best local delicacies. There are several great canal cruises to choose from if you want to enjoy the beauty of the city from its waters. Cruise through the canals while enjoying dinner and enjoying views of the attractions on the shore like the Hermitage Museum and Anne Frank House. If you are more interested in discovering the culinary history of the city, a food tour is a great option. 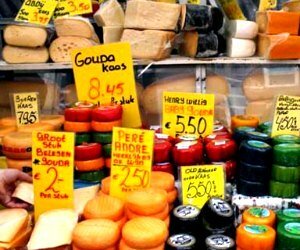 You will be able to sample famous local dishes like salty fries, fresh herring and local cheeses. A local guide will also provide you interesting information about the gastronomical roots of the city. Amsterdam has much to offer and these tours will definitely introduce you to some of them.